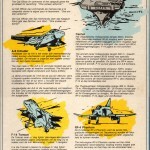 Flight Deck 2 was a cool flight sim game which was released by Aackosoft back in 1986 on the MSX. However, a C64 version was clearly planned, maybe even completed, as the C64 is clearly labelled on the MSX’s packaging. Aackosoft was a dutch company which actually released a few titles on the C64, though stopped from about 1985 onwards. 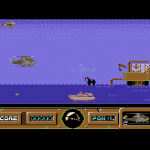 The first Flight Deck game was actually released on the C64 and was developed by Bytebusters – who did Dawn Patrol as well. So was Bytebusters also behind the C64 conversion of Flight Deck 2? It would have made perfect sense had they done. They seem to have done Dawn Patrol a year afterwards for Aackosoft. The hunt begins – we have taken the Bytebuster guys as temporary credits and as a starting point. Can the game itself be found? Was it ever completed? 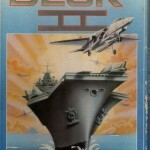 There is a suggestion that Flight Deck 1 on the C64 was actually the conversion of Flight Deck 2 (which was just an enhanced version of the first game really). Contributor Jeroen confirms that the game was just an enhanced version of the game, so we know what it should be like… but can this improved version be found? Well, here it is on Retrocollector.org, so we hope to see this preserved very soon! 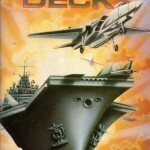 I loved that game….Flight Deck! Looking at Generation MSX’s website, Flight Deck 1 and 2 were like……the same game!